LIFE HACKS #1858 BREAK A GLOW STICK IN HALF AND PUT IT IN A - ProudMummy.com the Web's Community for Mums. 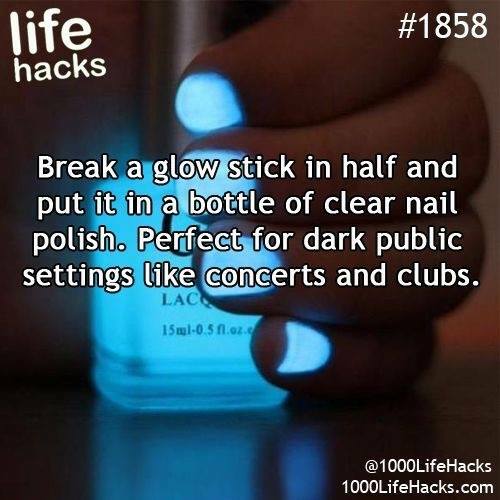 LIFE HACKS #1858 BREAK A GLOW STICK IN HALF AND PUT IT IN A BOTTLE OF CLEAR NAIL POLISH. PERFECT FOR DARK PUBLIC SETTINGS LIKE CONCERTS AND CLUBS.